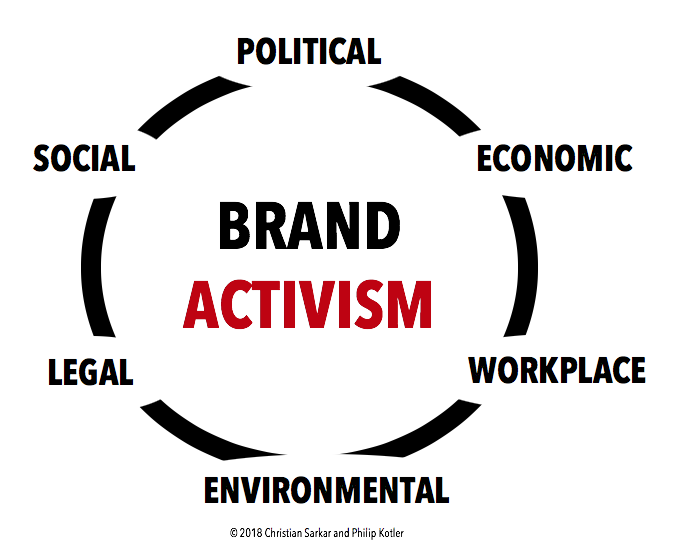 What domains or categories come under the umbrella of brand activism? Increasingly we will see that businesses will have to address all of these areas simultaneously – some because they choose the right path, others because their customers and employees will choose the path for them. Those who ignore the will of the people in these areas do so at their own peril. 3) to society at large.